At Cabana Beach, Peninsula's private beach on the bay, you will find a world unlike any other along the gulf coast. It is a different kind of place - private, peaceful and majestic. 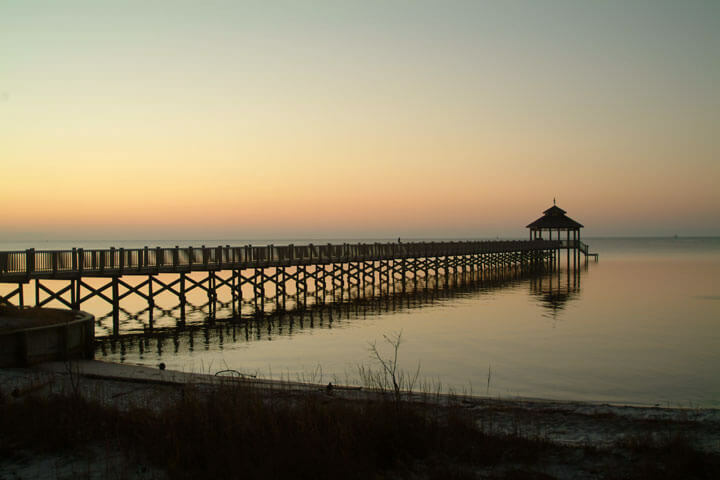 The Peninsula setting is a serene, nostalgic paradise with undisturbed nature preserves, the Bon Secour National Wildlife Refuge, and trails surrounded by forests of oaks and pond rookeries of graceful wading birds. The Bon Secour National Wildlife Refuge contains 7,000 acres of wildlife habitat for migratory birds, nesting sea turtles and the endangered Alabama beach mouse. The refuge serves the additional benefit of comprising one of the largest undeveloped parcels of land on the Alabama coast. Its dunes are a reminder of the Gulf Coast, as it once existed. As a consequence, the refuge has been named as one of the 10 natural wonders of Alabama. The Refuge is home to the endangered Alabama beach mouse, which is associated with the sand dunes and sea oats. Refuge beaches serve as nesting sites for loggerhead, and Kemp's Ridley sea turtles. Habitats include beaches and sand dunes, scrub forest, fresh and saltwater marshes, fresh water swamps, and uplands. More than 370 species of birds have been identified on the refuge during migratory seasons. The largest are usually ospreys and several species of herons. At the other extreme, seven species of hummingbirds have been identified. Mammals such as red fox, coyotes, and armadillos are also present.